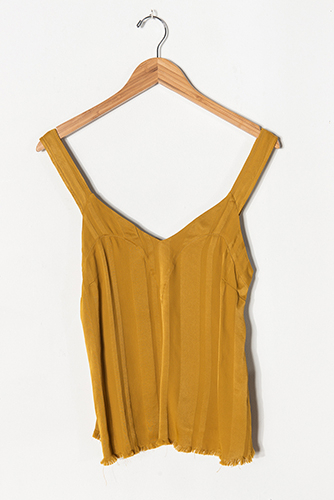 Button Strap tank in Ochre textured stripe. Straps have adjustable buttoning, with copper button. Raw edge detail at hem.